“Alternance Basic Training” is currently happening in 10 different locations (10 classes). 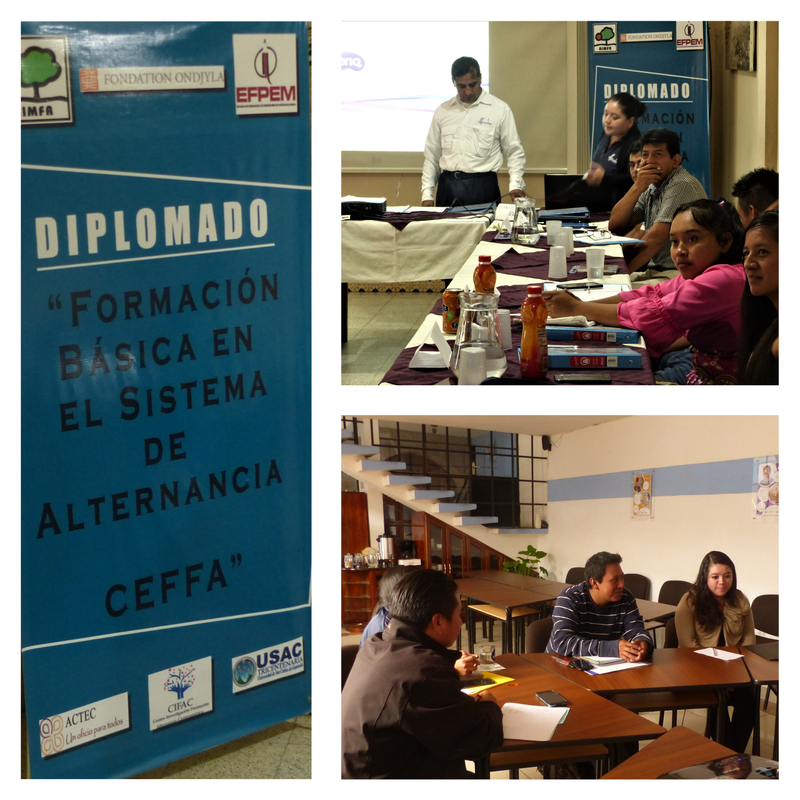 During a training session in Coatepeque, in the Pacific coast, near Mexico, we had the presence of 20 trainers. The program has a total of 200 trainers, 5 training modules, and is predicted to end in November 2018. In Quetzaltenango, we met with the area coordinators to assess the current activities and present new proposals for the next modules.